A rich caramel colour, our Premium Jamaican Dark Rum gives a rich full flavour to create a Caribbean favourite. Enjoy with your favourite mixer, Squeeze of lime or over ice. 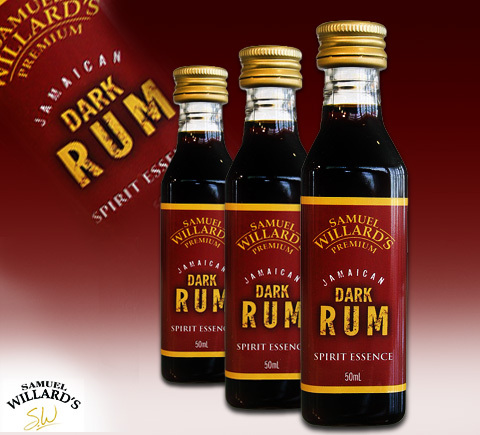 Samuel Willard’s Jamaican Dark Rum produces 2250mL of spirit from each 50mL bottle of essence.